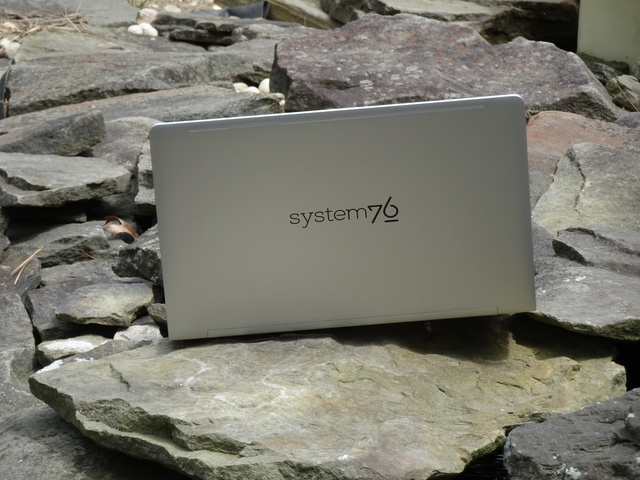 System76 sells really great Ubuntu Linux laptops, but there has been one glaring issue -- the machines aren't exactly svelte. Don't get me wrong, the notebooks aren't ridiculously large or heavy, but compared to, say, a new MacBook Pro, there is a very big difference. 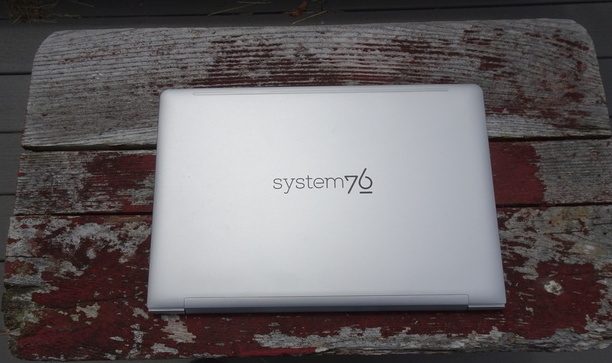 Many people have been anxiously awaiting a thin and light System76 laptop, and I am happy to say that it is finally here. The newest version of the Galago Pro notebook is very elegant, featuring an aluminum body and HiDPI display. But is the whole package worth your money? As to be expected, the packaging is exceptional. System76 designs the inside of its boxes with beautiful art, aimed to inspire the computer user, and that is found here too. 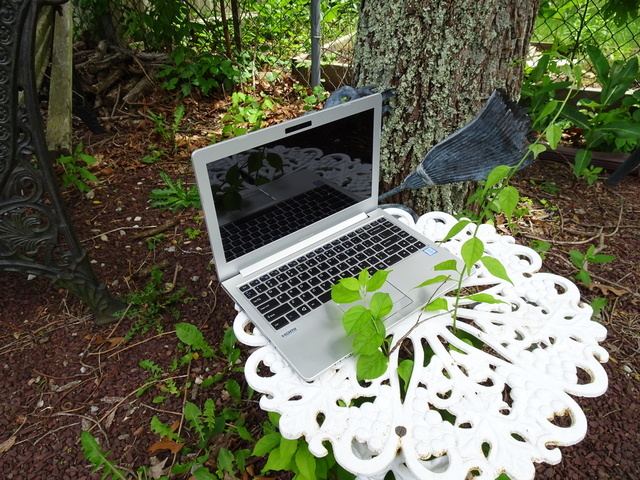 The company even uses some really clever plastic-wrap, so that you can remove the laptop without a knife or scissor -- just unfold some cardboard flaps and you are granted access. Upon removing the laptop from the packaging and holding it in my hands, I actually said "whoa" aloud -- and I was alone! 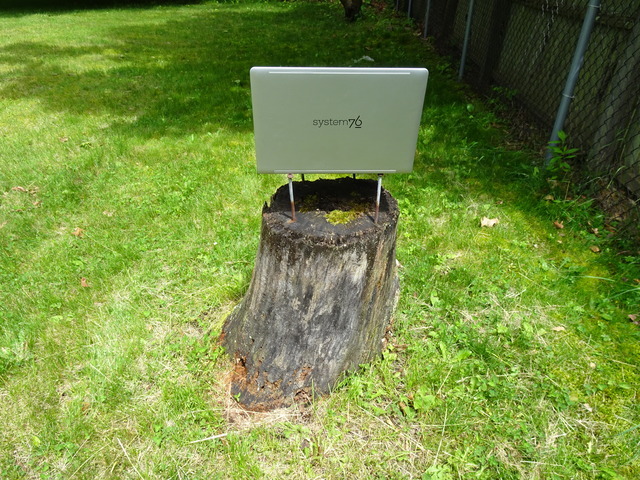 You see, it was immediately apparent that the Galago Pro was something special. Its all-aluminum body was cold to the touch, making it feel very premium. There is no creaky plastic -- it feels solid. 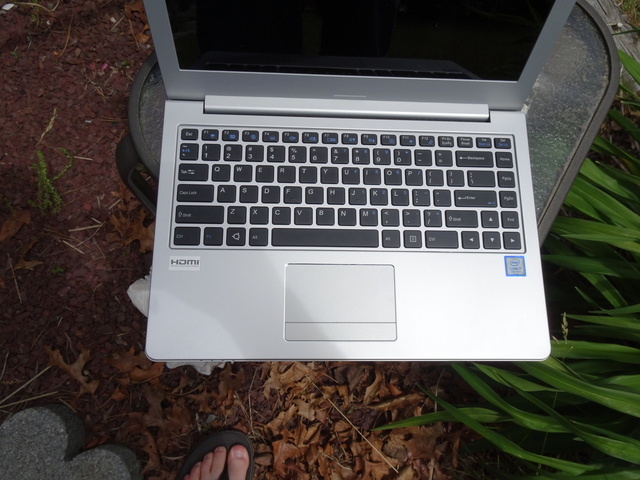 The laptop is surprisingly light and thin too -- yay! Unlike the MacBook Pro that only uses USB-C and causes the user to rely on dongles, System76 has chosen to deliver a bunch of connection options. Seriously, folks -- you will have no issues when connecting your accessories and peripherals. 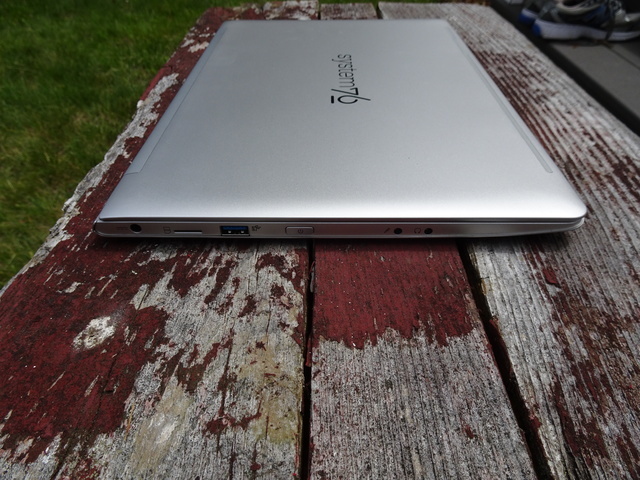 On the left side of the laptop there is a single USB Type-A port, the power port, plus two dedicated audio connectors -- microphone and headphone. Also on this side is the power button, which is small, rectangular, and flush with the body. There is also a SIM card slot, but it is deactivated -- there is no cellular modem option here. The right side is a bit more exciting, as it features a USB-C/Thunderbolt port. There is yet another USB Type-A connector on this side too. For video, there is a full-sized HDMI port and a mini DisplayPort -- it is cool to have both options. There is also a full-sized SD card reader, which comes with a rubber dust cover. Rounding out the rest of this side is a Kensington lock connector and an Ethernet port. This wired LAN jack is quite clever, as it is hinged -- it opens up to accommodate a standard RJ45 connector. 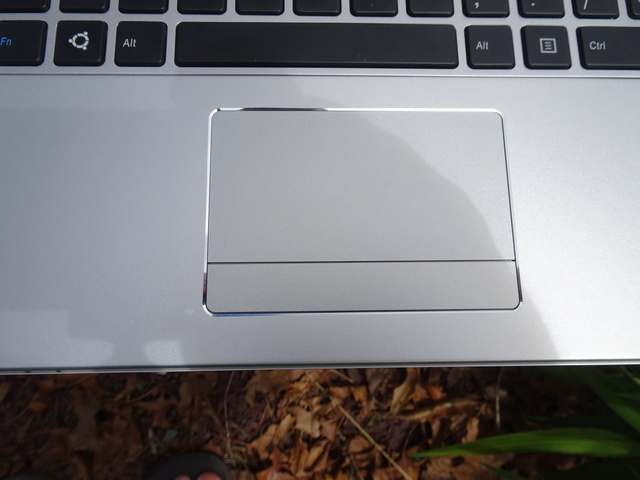 The track pad may be a bit polarizing, as it leverages dedicated right and left click buttons. In other words, the pad itself is not clickable. Whether or not you like this style is subjective, but I can assure you it works well. Quite frankly, dedicated buttons can be more accurate than two-finger right-clicking. I use my index finger to move the cursor and my thumb to click. The keyboard is a chicklet style, which I love. The keys are well-spaced and there is good travel. 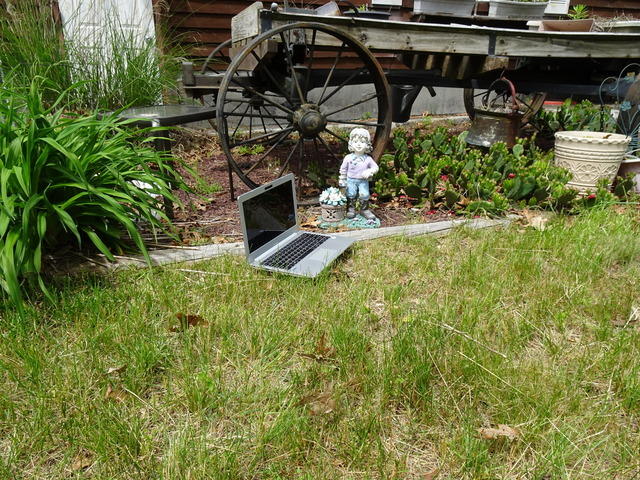 In fact, I found myself writing quite quickly -- with accuracy -- when pounding on the keys. Typists will love the backlit keyboard, especially when writing in the dark. The real star of the show is the non-touch 13.3-inch screen, which has a 3200×1800 resolution -- wow! True, HiDPI on Linux operating systems hasn't historically been the best experience, but Unity scales quite well -- do not worry. While that DE will eventually be phased out, GNOME should eventually be updated for better such support. Don't worry though, Unity will be supported for years to come. Not only is the screen one of the best I've seen on a Linux laptop, but it is one of the best I've seen on any laptop -- it is bright and truly awe-inspiring. On Ubuntu, fonts are extremely crisp, while colors are bold and vibrant. For viewing media, such as photos and videos, it is a wonderful experience. Unfortunately, the media consumption experience falls short of perfection, as the speakers are just average. 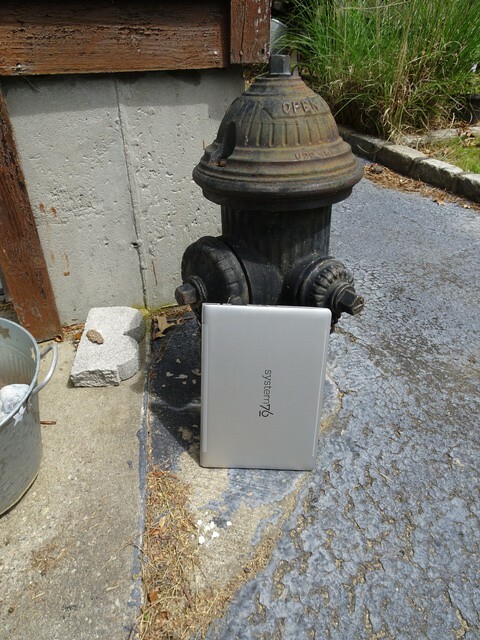 This is the case with many laptops nowadays, sadly. Don't get me wrong, they are passable, but the sound is a bit flat and the volume doesn't get particularly loud. Thanks to Bluetooth, however, you can easily connect a portable speaker for better sound. Also a bit disappointing is the battery life. While the five hours I seem to average between charges is fine for me, it may not meet the needs of others. It is certainly less than many of its competitors; you can pickup a Windows or Mac laptop that can exceed twice the life of the Galago Pro. While battery life will vary by usage, please know that my use is rather average -- surfing the web on Firefox, editing images in Gimp, word processing, etc. It is quite possible that Ubuntu is to blame for the battery life -- not the hardware. Speaking from experience, both Microsoft and Apple have historically beat Linux in this regard -- their operating systems seem better optimized for power. I wouldn't be surprised if the Galago Pro got better battery life when running Windows 10 (no, I didn't try). For a Linux user, however, the shorter battery will be worth it. The Core i7 runs Ubuntu like a champ, as should the Core i5 -- the only other CPU option. While you can configure the machine with up to 32GB of RAM, most users will not need that -- it's nice that the option is there, though. Luckily, the machine is upgradeable -- if you need to go from, say, 4GB to 16GB in the future, it will be easy to do so. The machine I am testing has 8GB, which should be fine for many, although in 2017, I'd probably suggest opting for 16GB -- a mere $80 upgrade. From a storage perspective, only M.2 is available as a boot drive, but you can add a traditional 2.5-inch drive as a secondary. I would recommend opting for an NVMe PCIe variant for better performance, although you can save money by choosing a slower SATA-based M.2 drive. For instance, moving from a 250GB SATA-based M.2 to an NVMe model is only $76 more -- just do it. The drive absolutely screams -- it is worth the cost. Again, it is easy to upgrade the drive in the future if you need to do so -- not so on Apple's latest laptops. As is the case with most modern thin laptops, there is no optical drive. If you need one, you can easily add one using USB. Over on Amazon, a nice DVD/CD-burner that connects with USB Type-A can be had for a steal. The included 720p webcam is pretty good, so you definitely will not need to buy a USB variant there. Ultimately, the System76 Galago Pro is an excellent portable computer that Ubuntu Linux users will love. True, there are more powerful laptops with a dedicated Nvidia GPU -- including from System76 -- but the Galago Pro is not about raw power. 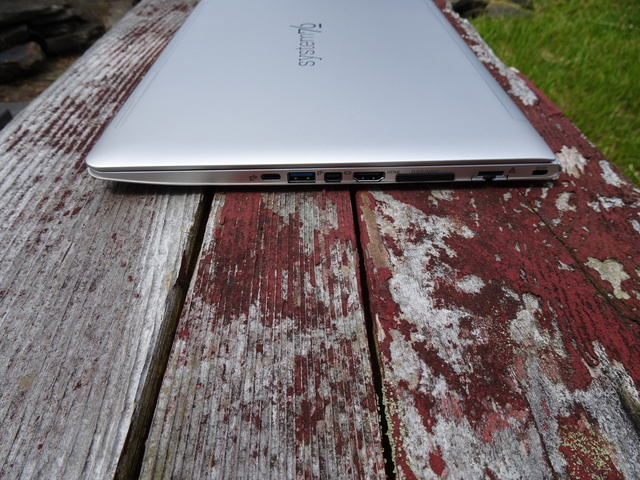 Much like Apple's MacBook Pro, the machine's focus is balancing portability and performance. The integrated Intel graphics found here is fine, as this is not a gaming machine. If you have been dreaming of a Linux-based laptop that rivals the 13-inch MacBook Pro in design, but potentially surpasses it in overall power and connectivity, look no further than the System76 Galago Pro; it truly is the MacBook Pro alternative that the Linux community has been waiting for. It is highly recommended. Want your own? You can configure one here.